Being a delicate and viscous cosmetic item, shampoo requires leak proof as well as attractive packaging, which could provide the end users a refreshing feel and luxurious bathing experience. For efficient shampoo packaging, Purity Flex develops plastic pouches, plastic sachets and many more packaging solutions in small volume and family pack sizes. Manufactured from easy tearing materials, these shampoo packaging products have excellent print-ability in multiple stunning colors. Convenient to use, these shampoos packaging pouches and sachets keep the fragrance and cleansing properties of product in existence for long time. 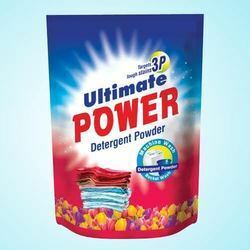 Detergent packaging is of great consequence to deliver the detergent powder a long shelf life by keeping its cleansing power unspoiled through moisture and dirt. Packaging of gorgeous colors and designs also delivers the products mesmerizing sales appeal. Detergents packaging materials, which Purity Flex offers are developed keeping into consideration the current fashionable patterns of a plethora of charming colors, which showcase the artistic sense of our designers. 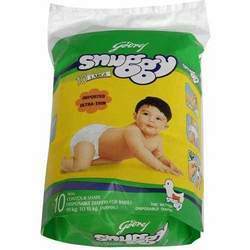 These packaging materials protect the detergent powder from moisture, dust and dirt and maintain their attributes for more time. 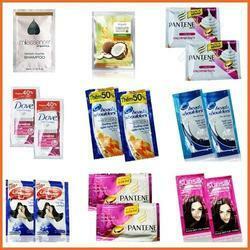 Our detergents packaging materials are known amidst our clients for their long lasting features and tempting look. Looking for FMCG Packaging ?